Welcome to my weekly blog. It is for anyone who questions everything and wonders, as I do, how we can shine brighter and fashion our lives into something even more beautiful. Little pieces of life, love and everything in between...The words come from my heart and the photography, my lens. The sun is setting and I'm 38,000ft up in the sky. A familiar hum of two powerful engines outside makes me feel sleepy. As I look out of the frozen window, I gaze down towards the earth. From up here, lost in the thin atmosphere, I can once again breathe deeply. I am swimming in my thoughts. I wonder about the young lady sitting on the other side of the aisle, a tear streaming silently down her cheek. I think about the handsome, tall man walking back to his seat who casually glances back. I think about my beautiful family back at the house, stoking the fire and getting ready to snuggle up in front of a movie. Life is happening all around. And I am part of the dance. We bank ever so slightly to the right just as a sudden burst of orange comes splashing into the cabin and basks us in a surreal glow. These are the final moments of another day. I suddenly wonder if I'm one step closer to what my heart yearns for. The air hostess makes her way up the aisle with a clunky trolley. She smiles as she places a cool gin & tonic in front of me, and continues on. I turn my head once more to look at the darkening sky. Soon horizon will disappear into the night. Soon I will pull down my blind. And soon I will start my movie. But for now, all I have is this moment…and everything’s perfect. Jeff lives in London where he works professionally as a journalist, writer and actor. 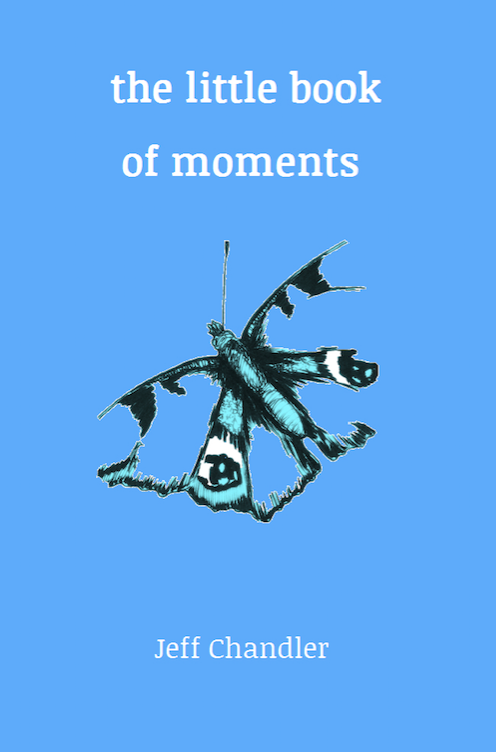 Vol.II of his book 'The Little Book of Moments' is now available on Amazon. 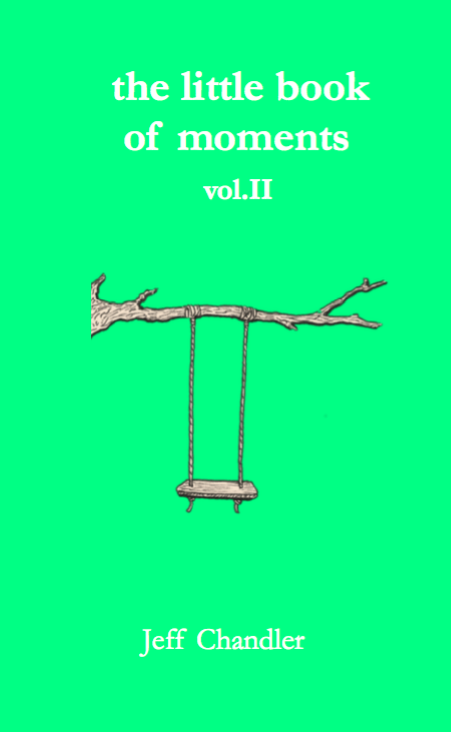 Vol.II now available on Amazon! "Your living is determined not so much by what life brings to you as by the attitude you bring to life; not so much by what happens to you as by the way your mind looks at what happens. Circumstances and attitudes do colour life...but you have been given the mind to choose what the colours will be."